Welcome to Meet the Game Builder – CodeMonkey’s blog segment where students from all over the world share their experiences on what it’s like building a game for the very first time on CodeMonkey. 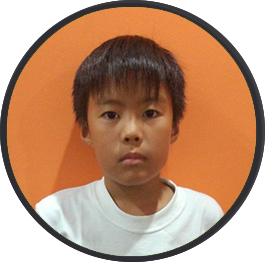 Today’s post features Mardian, a nine-year old boy from Bandung, Indonesia. 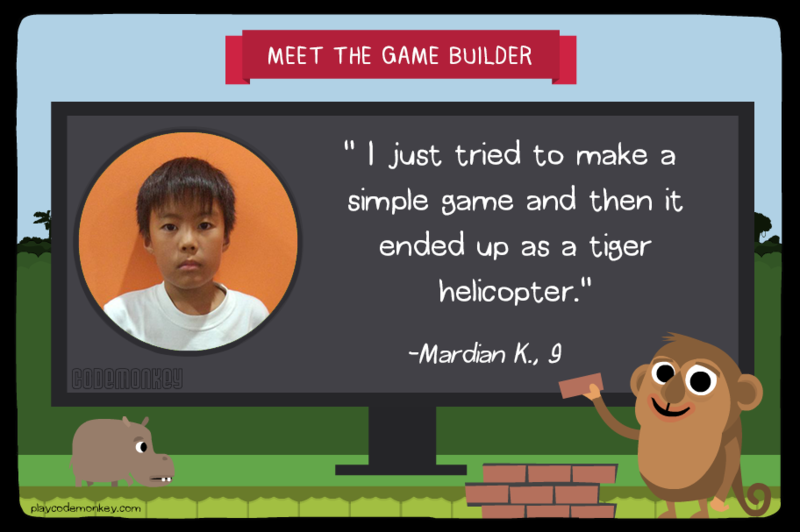 Mardian has been coding in the program Kodekiddo, where he was introduced to CodeMonkey and its Game Builder. Read on to find out about his game-building process. Being able to design and build my own games makes me feel more accomplished as now I can type code and not drag it! What was the inspiration behind your game? I actually didn’t really know what to do, I just tried to make a simple game and then it ended up as a tiger helicopter. Check out Mardian’s game here !